Palmer grower Steve Hubacek shows off a giant he weighed in at a past Alaska State Fair. Welcome to what feels like Super Bowl Friday in Alaska! Super Bowl Friday? Well, up here in Alaska we do things a little differently than others, to say the least. Tonight at the Alaska State Fair is our Super Bowl of sorts - the Giant Cabbage Weigh Off. That&apos;s right, giant cabbages! Each year, on the last Friday of the fair, growers from around Alaska convene to see who has the largest cabbage - and if they can break a world record. Right now, that sits at a whopping 138 pounds! It&apos;s a site to behold, really - the "competitors" enter on large pallets, sometimes with the assistance of a fork lift, because they are so large. They enter a corral in the agriculture exhibits building, but it has the feel of gladiators entering the arena for a massive showdown. Large crowds assemble, wanting to get a glimpse of these giant cabbages and the growers who toil all summer and overcome the obstacles - early freezes, too much rain or even hungry neighborhood moose. Not all the veggies in Alaska are grown to monstrous proportions, but nearly 24 hours of daylight and milder temperatures sure help them. The giant cabbages entered in the fair are grown for exactly that purpose - it&apos;s not like one cabbage in someone&apos;s garden just happened to grow to more than 100 pounds. The growers use special seed hybrid mixtures, and tend to the cabbages daily - or even hourly - in hopes of raising a world record. Often, it&apos;s the same growers that have the biggest cabbages, and everyone eagerly awaits to see just how big they&apos;ve gotten. People often ask what they do with the cabbages after they are entered. Honestly, while these giants make for great pictures and stories, they don&apos;t exactly make for great coleslaw. Often times, the large veggies are donated to the Alaska Wildlife Conservation Center, because it turns out the animals there have palates less picky than the average human. This year is the 20th annual event, and you don&apos;t want to miss it. 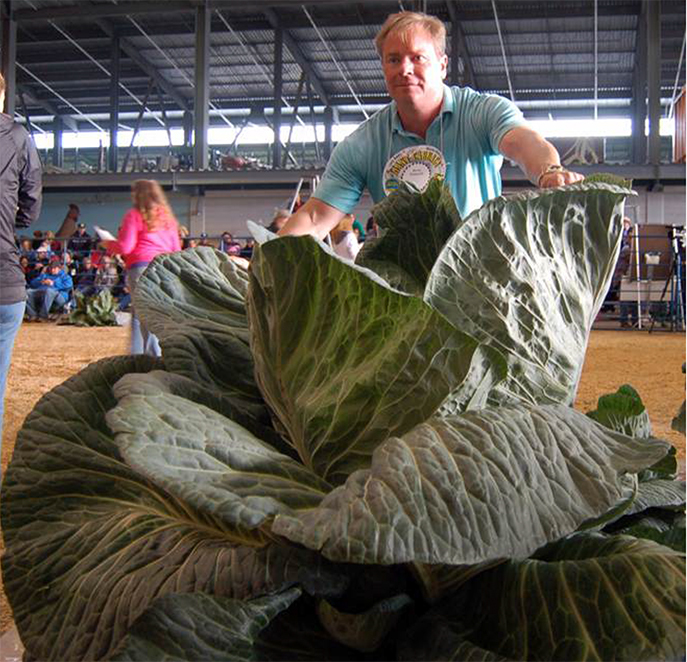 The 2015 Giant Cabbage Weigh Off begins at 7 p.m. in the agriculture exhibits pavilion on the Alaska State Fairgrounds. For a complete schedule of the fair&apos;s events, visit www.alaskastatefair.org. The fair runs through Monday, so it&apos;s your last chance for fun!